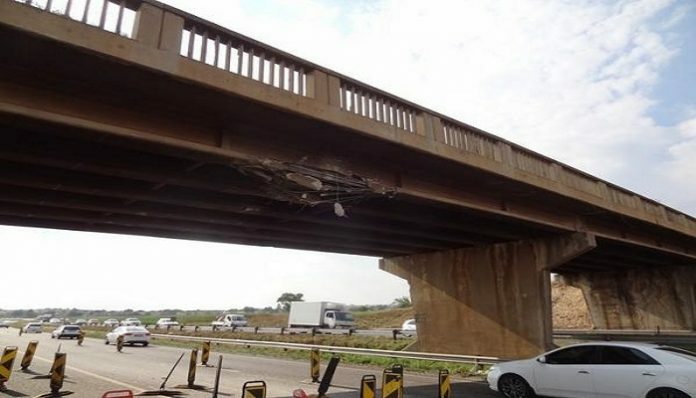 Construction works of Kazungula Bridge in Zambia has stopped after Daewoo Engineering and Construction-in charge of the development shut down the site due to non payment by the Zambian government. Daewoo Engineering explained that the issue has led to an industrial strike by the employees. Botswana has since made payment for the project but Zambia was still lagging behind. A total of US $14.84m is owed from the employers. Administration Manager at Kazungula Bridge Project, Hong Seouk Park said this the financial constraints has made it increasingly difficult to maintain the company’s running costs. The Kazungula Bridge is being constructed at the Kazungula crossing, where Botswana and Zambia share a border measuring about 750 metres over the Zambezi River. It is also at the confluence of Zambezi and Chobe rivers, and the meeting point of the four southern African countries – Botswana, Namibia, Zambia and Zimbabwe. The US $259.3m project was officially launched in September 2014 by then Vice-presidents of Zambia and Botswana, Dr Guy Scott, and Ponatshego Kedikilwe, respectively, and is financed by the African Development Bank (AfDB) and the two governments. The multi-million-dollar project was hailed as the Southern African Development Community (SADC) economic integration success stories, one of the missing links to realizing the North-South Corridor identified under the Regional Infrastructure Development Master Plan (RIDMP). The bridge project is expected to facilitate trade with Botswana and within the SADC region. The project, which entails construction of a 923 metre-long rail/road extra dosed cable stayed bridge with approach roads as well as construction of one stop border posts on the Zambia and Botswana sides, was scheduled for completion last year but failed due to Zambia’s failure to pay. The contractor has however assured both governments of the project completion and delivery of at the expected time in 2020 if payments are made soon. The bridge is expected to reduce transit time for freight and passengers, boost the regional economy and even increase global competitiveness of goods from Botswana and Zambia due to reduced time-based trade and transport costs. Regional Infrastructure Development Master Plan (RIDMP).